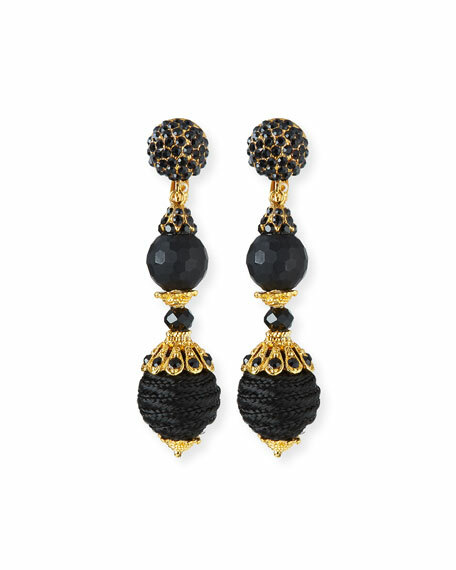 Drop earrings by Jose & Maria Barrera. Black glass crystal and passementerie beads. For in-store inquiries, use sku #2333004.